There's nothing like an English country house hotel... here are some of our favourite places to act like the landed gentry, at least for a night or two, just in time to celebrate English Tourism Week. The sort of place that has muddy wellies by the door, a great pool and kayaking from their own jetty. – not to mention romantic lake views and a great restaurant. A perfect Lake District hotel for grown-ups and families alike. Just in case you don't have any millionaire friends. staying at this boutique country house in the Cotswolds will make you feel as if you do. The feel of an intimate country home, but with spa, sauna and restaurant attached. Once at the heart of a 1000-acre Herefordshire estate, this gorgeously situated Georgian manor is the perfect place to spend a few days away from whichever big city you live in, and the nice thing is it's deliberately not posh, designed to evoke the cool country pad of your beatnik cousin rather than the huntin', shootin' and fishin' brigade. A relaxed country house vibe, but with a heated outdoor swimming pool, games room, sauna and small gym. Set on a splendid private estate of lawns and woodland above the Helford River, this engagingly traditional country house hotel. is the perfect choice for both couples and families, with a huge swimming pool, intimate little spa, an excellent restaurant and a private 9-hole golf course. 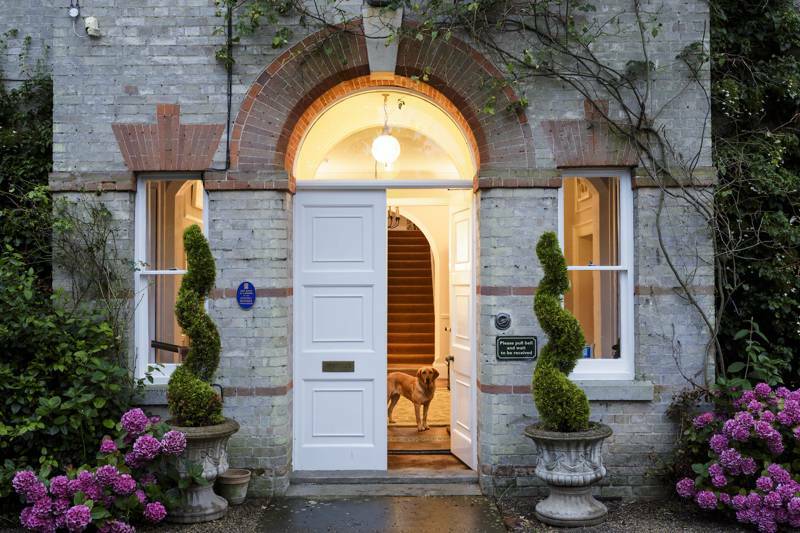 This beautifully restored Victorian manor house was designed by Edwin Lutyens, and this is perhaps the ultimate country house, with just seven boutique bedrooms, croquet on the lawn, a lovely pool and heated verandah and a cosy library. An oasis of Cotswolds tranquility. This fairytale hotel on the Devon-Cornwall border was the rural retreat of the Duke of Bedford, and boasts grounds designed 200 years ago by Sir Humphrey Repton. It is, as gardener Alan Titchmarsh described it, 'a hotel built in paradise' – updated as a lavish yet homely contemporary residence by Olga Polizzi, with 19 rooms and suites, a cosy bar and restaurant and country sports galore. Originally just a high-end restaurant, this an agreeable country house in 'Constable Country'', overlooking a lovely rolling green landscape punctured by spires and red roofs, has just 12 gorgeously styled guest rooms, each deliberately different and named after a renowned English poet. They'll run you down to the hotel's renowned riverside restaurant in the Range Rover each evening, while during the day you can relax in the pool, spa or hot tuv, enjoy a spot of tennis, or just kick back and fantasise that life is always like this. This pint-sized guesthouse may not big, but it is clever and ticks a few country house boxes at the same time, with a large open-air swimming pool, croquet on the lawn and its own tennis court... and a million-and-one walks in the bucolic countryside around. All your country house fantasies come true at this luxury Suffolk B&B, which is a bit like attending an old-fashioned house party – Tom the efficient butler and Honey the dog are here to greet you, and there’s the chance to take the weight off your feet in the book-lined lounge, where a fire burns in the grate, and you’re tempted to either tinkle at the grand piano or more likely help yourself to a drink from the well-stocked honesty bar. Comfy rooms too, complete with a decanter or two. The family story is writ large across this Georgian country house hotel, which has been in the same hands for over 30 years, and has 21 guest rooms spread across various buildings. Family members grew up here, and played in the gardens, so the sense of pride here is palpable. But with a great restaurant too, it's anything but stuck in the past.